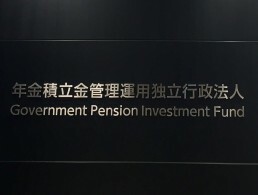 Today, the world’s largest pension fund, the Government Pension Investment Fund (AUM : 1.28 trillion USD), welcomed Hideto Yamada as a head of real estate. Hideto Yamada is recognised as the most successful and experienced Japanese player in the overseas real estate investment and development. He has extensive experience in overseas real estate markets (UK, US and Singapore) for several market cycles and brought his incomparable leadership to the industry. Yamada’s most recent position overseas as Managing Director of Mitsui Fudosan UK, he led a successful mission of the company’s large-scale urban redevelopment projects. One of the major project include the redevelopment of BBC Television Centre and White City Place in London with BBC at over 3.5 billion USD. That is, one of the largest ever undertaken overseas building developments by a Japanese real estate company. Despite the other Japanese investors had been withdrawing from the global real estate market for decades ever since Japan’s bubble crash in 1990’s, Mitsui Fudosan has achieved success in global real estate markets and remains as the most successful Japanese real estate player. Yamada left Mitsui Fudosan last month, and he now leads one of the world’s largest institutional investors, GPIF, as a director of real estate. That is, an indication of that GPIF committing to expand strong markets outside of Japan. Since GPIF remains as one of the world’s largest investor, most of the Japanese institutional investors are expected to follow its approach and strategy to step into overseas real estate. Therefore, Yamada leading GPIF’s real estate with his successful experience will create standardised approach and risk management for Japanese institutional investors to enter overseas real estate markets. His presence will make a significant contribution and will be positively supporting GPIF’s ambitious plan to diversify their investment to the market outside of Japan while encouraging all Japanese investors. This will be a great trigger for Japan to accelerate in entering global investment and his leadership will navigate the country’s asset and wealth management to move forward to a next stage.